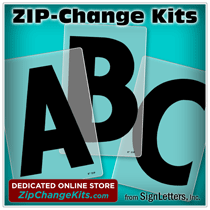 The standard font choices are shown below for these high quality sign letters (you may also have a custom font produced, contact us for details). These dark oxidized finish cast bronze letters will have stroke sanded faces and bead blasted returns. Once your bronze letters are cast from prime ingot, sanded, blasted, and inspected, they are oxidized and then coated with an oven baked 2-part hardened acrylic polyurethane clear coat. Oxidized bronze might be referred to as "oil rubbed bronze" or "hand rubbed bronze" due to the old methods of reaching this type of look. These cast metal letters are produced with Bronze alloy NAVY G (lead free - mercury free / US 10B finish).